The Beast Kicks 2011 Into Action! First off…I am back – Happy New Year!! If this is a sample of what 2011 is going to be like, then this year is going to blow my mind! My first show of the year was Paul Di’Anno of Iron Maiden. For those of you wondering whether Di’Anno still has it or not, he definitely does! These handful of shows were extra special as Paul ran through the entire Iron Maiden LP as well as the best of Killers. Also thrown in were some of Di’Anno’s favorites from his solo years. Icarus Witch backed up Di’Anno and provided all the Maiden music. I must say, they were nearly spot on. Eddie Trunk had mentioned that he was a bit disappointed because he thought Icarus Dream played the tunes a bit too fast – not true, the tempos were just as tight as the current Iron Maiden plays them live. 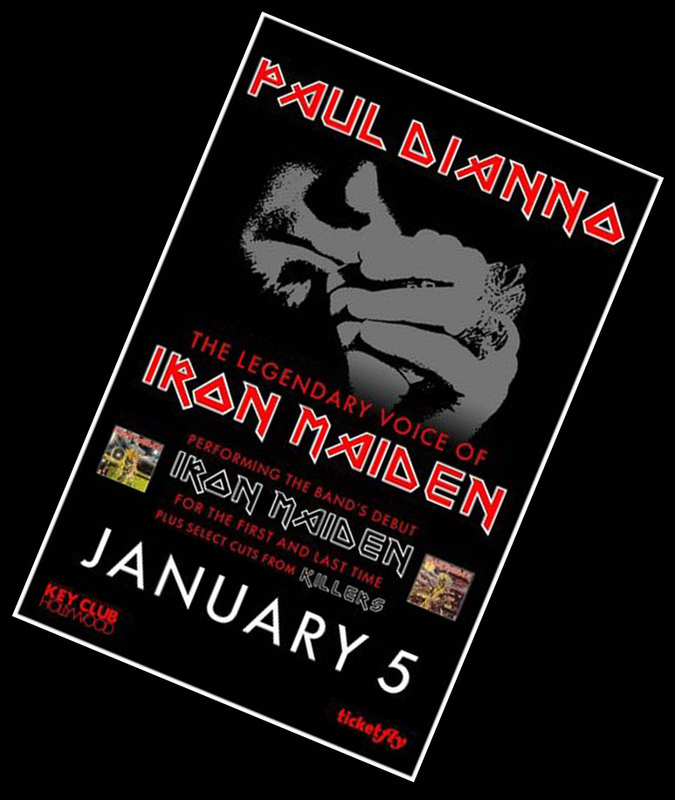 Except for a few minutes where the venue seemed a bit quiet due to the crowd getting a bit “Hollywood”, the club was filled with maniac Maiden fans – and Paul was feeling the love! 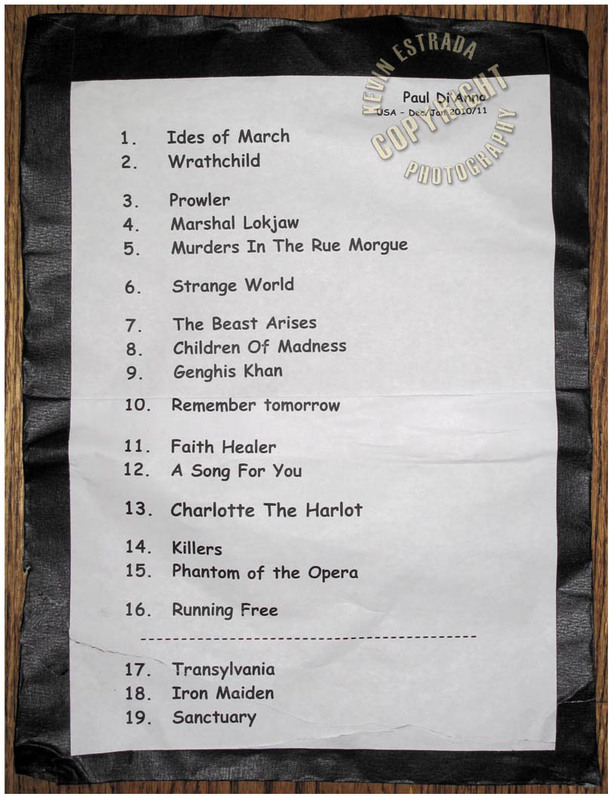 I was lucky enough to swipe Paul Di’Anno’s set list – one of the benefits of being smashed up against the stage all night. Enjoy the slide show! Up The Irons!! Heard You Missed Us…We’re Back!